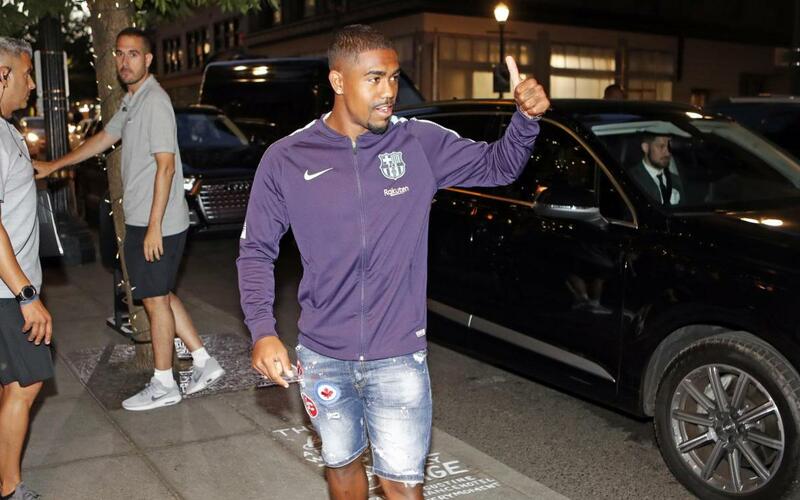 PORTLAND, Oregon — Barça's newest signing, Malcom, arrived in Portland on Wednesday evening and will be officially unveiled as a new Barça player on Thursday, in a series of events to be held at Nike World Headquarters, beginning around 12 noon local time (9.00pm CET) with a press conference that can be streamed live on Barça Video and Barça's official YouTube and Facebook pages. Before the press conference, at approximately 11.45am PST (8.45pm CET), Malcom will sign a five-year contract at a private event. Once the press conference is over, Malcom will head out to the training field to juggle the ball for the first time in a Barça shirt. Malcom's arrival in Portland, the team's starting point for this summer's US tour, came while the first team was having dinner. Nonetheless, the Brazilian went into the dining room to greet them for the first time. He also spoke briefly with President Josep Maria Bartomeu and his new coach, Ernesto Valverde.